Spring has definitely Sprung, and lots going on with the lovely longer days. 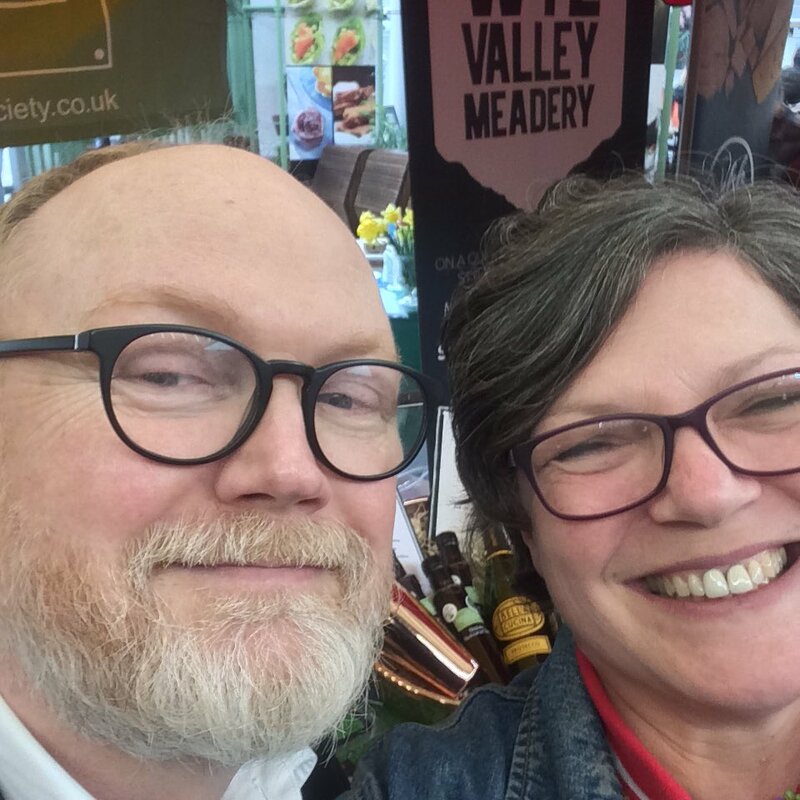 We've had a busy few weeks, Borough Market was incredible and we met one of our food heroes, the lovely Dan Leopard, a food writer, chef, photographer and one of the brilliant World Marmalade Award Judges. We spent a few days last week at The Celtic Manor on Newport for #TasteWales #BlasCymru 2019, a great event supported by Food & Drink Wales, we had the pleasure of meeting the hugely inspirational Claus Meyer a food activist and culinary entrepreneur, the brains behind NOMA . He gave a very impassioned talk about the importance of food, and how we can combat poverty with deliciousness which resonated with the work we've done in Cameroon. He also loved our Blissfully Blackcurrant Sirop and was delighted to take a bottle to breakfast with his daughters on the Friday. Swooooon! And this week we've had the pleasure of BBC Wales Today visiting our kitchen to talk about our Blissfully Blackcurrant Jam, cancer and the brilliant Velindre Cook Book - recipes that make you smile. Ceri Harris (Velindre) & I spent a couple of hours talking, laughing and crying with Rhiannon Wilkins and somehow she now has the task of editing our rambles into 2 minutes to be shown on BBC Wales in a few weeks - keep a look out for our very messy Border Terrier, Maggie, it appears that she's not camera shy at all! And QVC - delighted to let you know that our QVC audition was a great success, will be on soonish...will let you know! !